It's the first plant ever discovered to sync its activity to the lunar cycle. The pull of the moon may be too much for one plant to resist, according to a recent paper published in Biology Letters. The study suggests that the Ephedra foeminea shrub has werewolf-like tendencies, preferring to sprout red and yellow cones and unleash its pollen under the light of the full moon. E. foeminea is the only known plant species in existence that syncs its reproduction to the light of the full moon, in particular during the month of July. The climbing shrub is most often found on cliffs, ravines and bare rocks in regions across the southeastern Mediterranean and further south to Yemen. The gymnosperm reproduces via moonlight pollination in an effort to lure nocturnal insects to its cones. The scraggly shrub does this by secreting sugary drops laden with pollen for insects to find, glinting like treasure under the bright gleam of the moon. The researchers discovered this while on a mission in Greece to uncover its elusive reproductive secrets. They found that a relative of the plant, E. distachya, was wind-pollinated, but couldn’t say the same for E. foeminea. So they pulled an all-nighter to see if the plant waited until the cover of night to spread its pollen. To their astonishment, it did. “The many pollination drops glitter like diamonds in the full-moonlight,” the authors write. “A spectacular sight also for the human eye." While unique for plants, lunar cycle reproduction and activity has been found in a number of vertebrates and invertebrates. For example, certain tropical reef corals sync their reproduction with the phases of the moon. 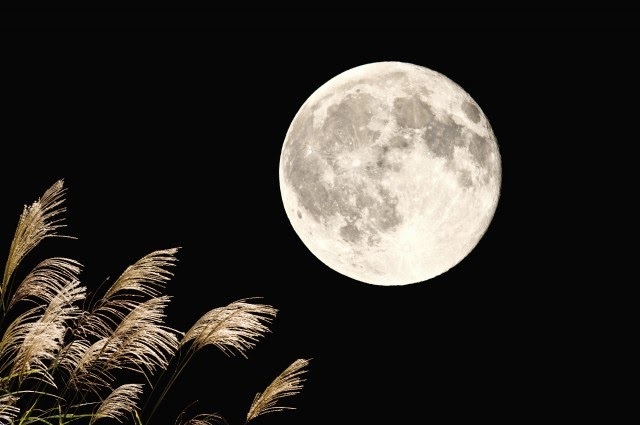 Exactly how the plant determines when the full moon is out remains unclear. It is possible that the moon’s gravitational pull is at play, or that the plant has a high sensitivity to the amount of moonlight. The development of such a reproductive mechanism is likely a consequence of plant–animal interactions. 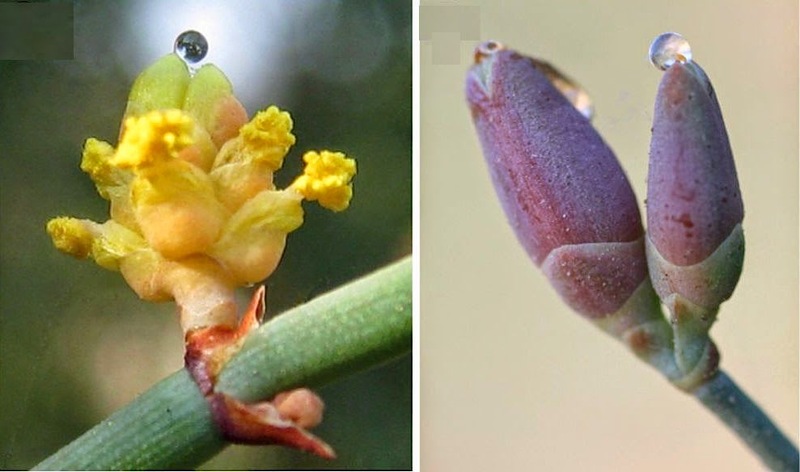 Either way, this unusual form of plant pollination has the researchers slightly concerned. According to The Smithsonian, the E. foeminiea grow much further from town than most of its wind-pollinated relatives. The researchers are curious to know whether the reason has something to do with light pollution disrupting its dependence on the lunar cycle. Only future studies will tell. Responses to "Werewolf Plant Waits For The Light Of The Full Moon"